This week the BGLR has gained some signals, from a Busch kit bought a few weeks ago. The signals are inert and so are just for show but give a nice extra touch to the layout. 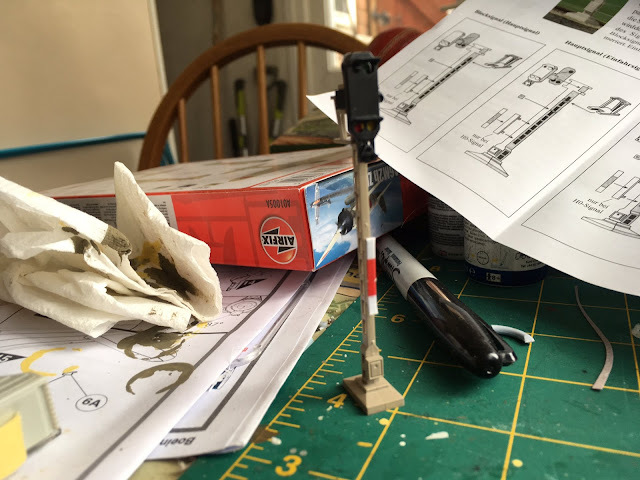 I've built four signals and one ground signal though there are enough parts in the kit for double that, however four plus one should be sufficient for a small layout like the BGLR.